Italy has a wealth of romantic places and experiences from which to choose. Let our expert staff guide you in picking your ideal locations. Imagine relaxing on a terrace overlooking the sea on the stunning Amalfi Coast sipping a glass of prosecco. Take a romantic cruise along the shore or to the enchanting island of Capri, with stops to swim in hidden coves. Indulge in catered candlelight dinners, made special with a serenade. The Amalfi Coast is a top honeymoon spot with many opportunities for romantic experiences that we can arrange for you. Portofino, on the Italian Riviera, has long been a draw for the rich and famous. 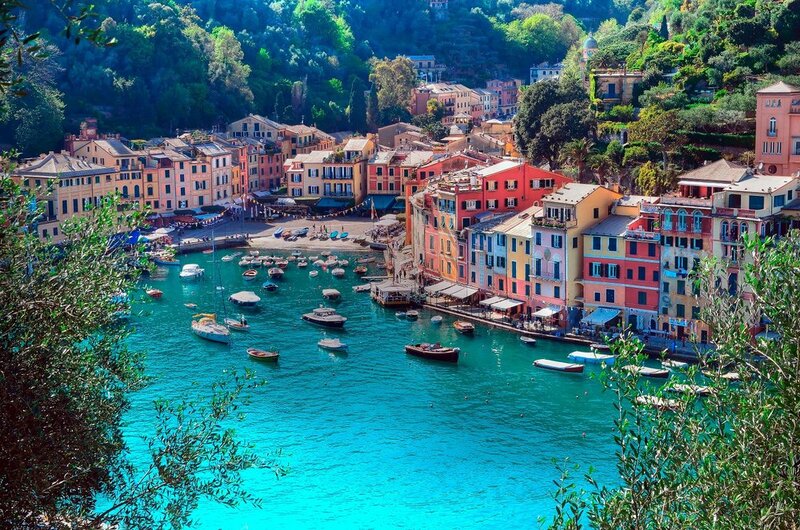 With its colorful houses and intimate half-moon shaped harbor, Portofino is a wonderful place to spend your honeymoon. Enjoy fabulous seafood meals, swim in the clear blue sea, and travel by yacht along the riviera, stopping in charming villages and towns along the way. Let us arrange your ideal luxury seaside vacation. Venice is Italy's most unique and romantic city with its winding canals, gondolas, and beautiful sights. Venice is the perfect venue for a special catered candlelight dinner in a historic palace with musical entertainment. Maybe you'd even like to wear a mask or dress in Baroque costumes, as in the days of Venice's glory. Relax on a private gondola ride with serenade along less-crowded back canals, admiring the houses from the water, or seal your love with a kiss under the Bridge of Sighs.